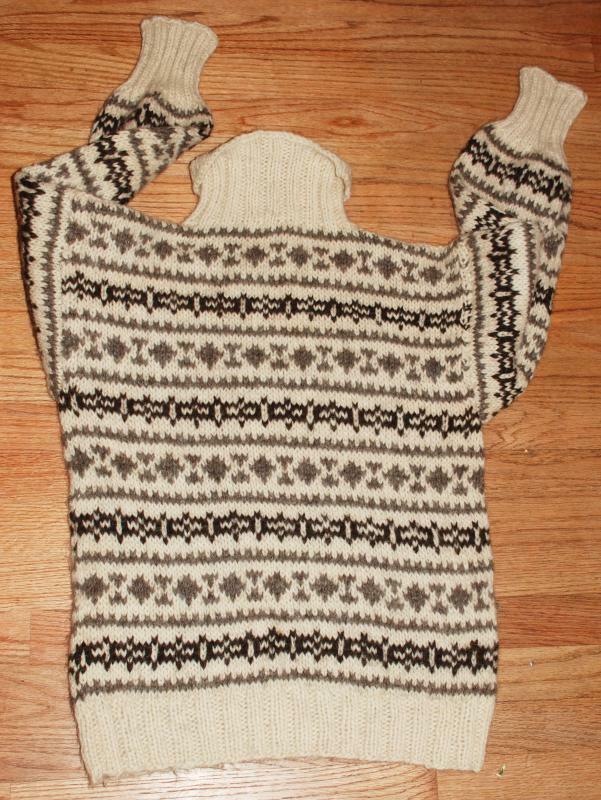 All natural wool Scandinavian, Norwegian Style Hand Knit Pullover sweater with turtle neck. 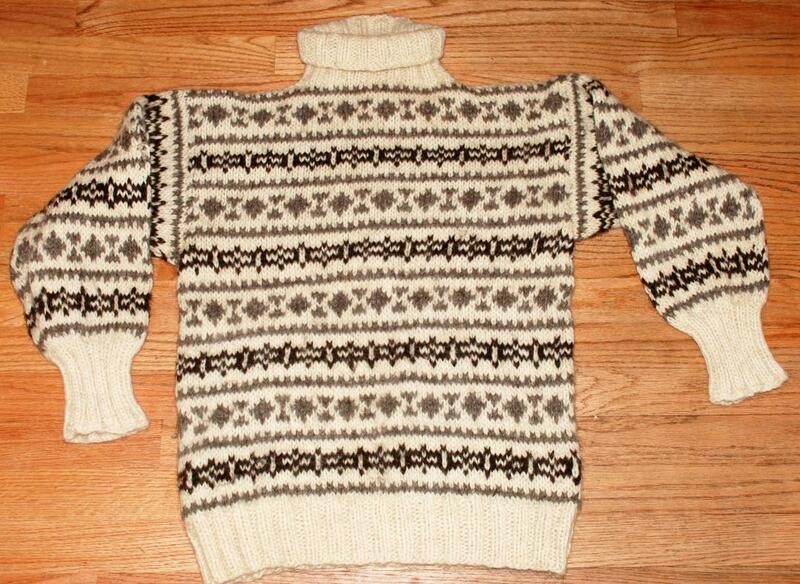 As you can see it has a horizontal pattern. The colors are t brown and gray against a cream color background. 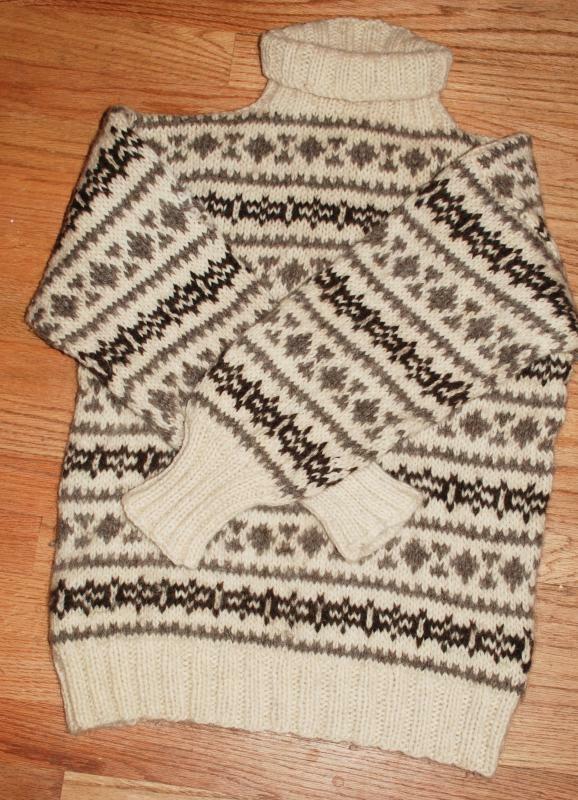 The wool is totally natural with no dyes used. The neck tag is missing but I asusme ithat is a large but please compare with my measurements. 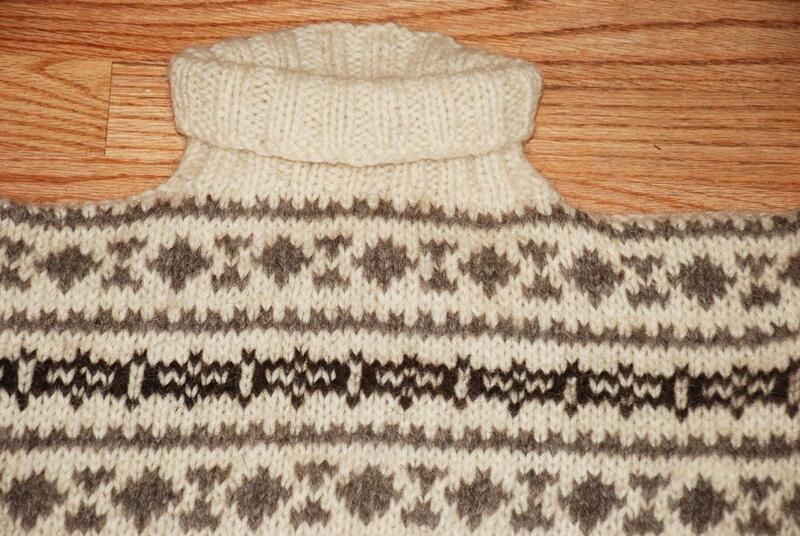 The knit is fairly tight the and the yarns are thick the wool feels firm and a bit fuzzy. The quality is superb. Bust or Chest from armpit to armpit is 18.5"